Go to… Go to… Home Featured Listings - Residential Listings - Lots & Land Listings Search for Homes - Advanced Search - Map Search - Sunset Bay - Norris Shores - Sharps Chapel - Maynardville Homes - Union County Lake Fr - New Tazewell Homes - Foreclosures Buyer/Seller Info - Mortgage Rates - Schools - Relocation - Weather Contact Us - Our Team - Dream Home Finder - FREE Market Analysis - Real Estate News!!! 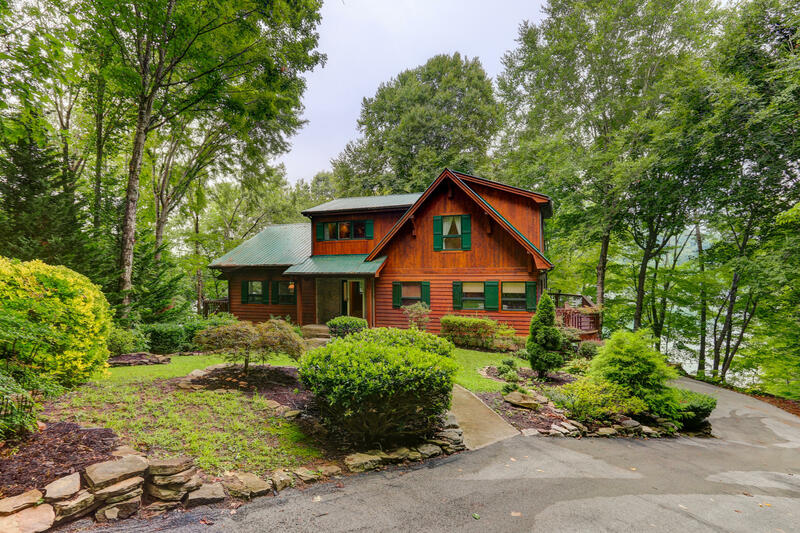 Norris lake point lot with privacy and endless views...extensive decking, gentle to the lakeThis post and beam interior home offers granite counters in kitchen, large kitchen, large dining area off kitchen and keeping room, one bedroom on main floor can be master with master suite up. Partially finished daylight walk out with one bedroom and a full bath second kitchenCovered 2 bay dock...This home may be 25 years old but you will be surprised how up to date it really is.One of the nicest lots in Norris Shores with beautiful lake frontage.. Some or all of these listings may not belong to the firm whose website is being visited. © 2019 Knoxville Area Association of Realtors Multiple Listing Association. All rights reserved. The data relating to real estate for sale on this web site comes in part from the IDX program of the Multiple Listing Service of the Knoxville Area Association of RealtorsR. IDX information is provided exclusively for personal non-commercial use and it may not be used for any purpose other than to identify prospective properties to purchase. All information provided is deemed reliable but is not guaranteed and should be independently verified. Some properties which appear for sale on this web site may subsequently have sold or may no longer be available. Information last updated on 2019-04-24.